Did you know that over 20% of all Google search comes from images? 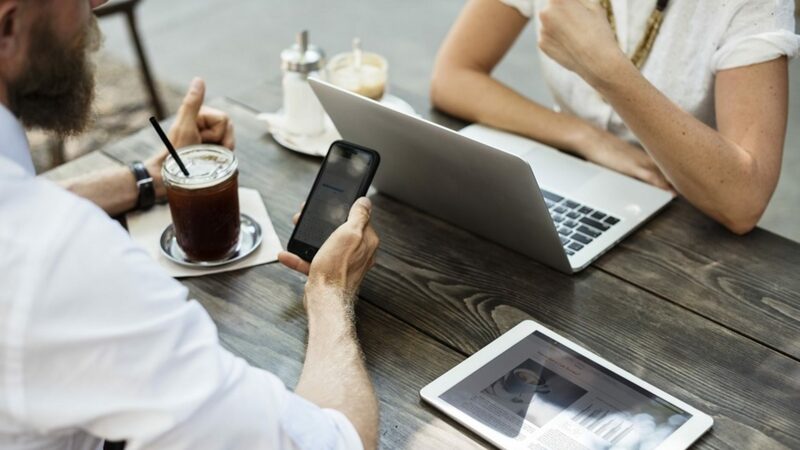 Considering that Google has a 70% market share on desktop and 95% on mobile in the United States, you need to be optimizing your site every way possible for SEO. When you factor in seasonality like October, you can see the percentage of search queries increase for images. What’s even more impressive is how many people are not taking advantage of image SEO so that you can rank easier for image search than traditional web search. 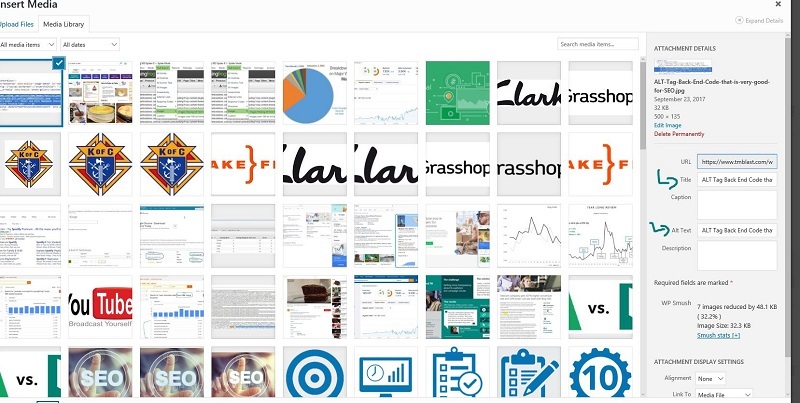 So the question is how do I rank my website images on Google and Bing? The best and most efficient way to have success with image ranking is through ALT tag optimization. Alternative Text tags are what Google and Bing look at when they are combing through your code to understand what a picture is supposed to be. A descriptive label that compliments the page’s copy is the best way to organically rank for image search. Before we get into that, I wanted to share some insight into image search on Google, how to write ALT tags and their best practices, how to find ALT tags missing on images on your site, and best strategies for writing these cards on your site. How Important are ALT Tags for SEO? Moz recently reported on a study showing the value and importance of ranking in Google image search. 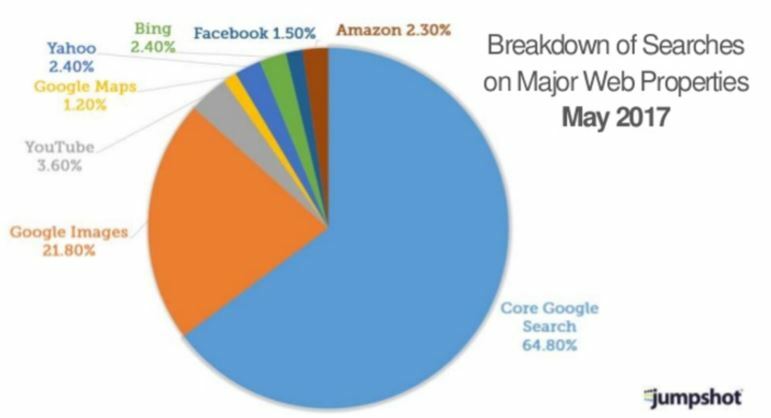 According to this survey, Moz saw over 20% of searches conducted through Google Image search. That’s remarkable and completely puts everything into perspective about how important ranking for images indeed is for SEO. Here is their link from SlideShare that goes into more detail. I suggest checking this out as there are many impressive stats around Google’s numbers in 2017. If you clicked on that link above from SlideShare, you would see that there is a slide that showed the breakdown of October 2016. This makes a lot of sense as Halloween probably inflated the numbers, but you can also assume that specific product searches see a bump during the holidays. The simplest way to add this when you are inserting an image into a post or a page. When you add an image to a post or page, you have the option of adding the ALT tag to this. The difference between a title and an ALT is that the title is what humans see while the ALT is what Google and Bing can see. The title can be seen by a human if they move their mouse over the picture, or if they have an optical reader that can let them know what the image is about. It’s good practice to get in the habit of adding both of these tags to every picture you put up on your website. Here is an example of my blog post that I am writing right now and where I can add these tags using WordPress. If there are thousands of images already added to your site and you have not been doing this, you can update these tags in the media file on your WordPress site. This will take a lot of time, so it’s worth running a crawl of your place to look for your most traffic pages and work through that to see an immediate impact for your work. If you don’t use WordPress, you can go into the code on the page and write the tag for the image. This is a manual process, so you will need to budget out time for this fix. Here is what that code looks like below. My favorite tool for conducting any search work is Screaming Frog. This tool is an absolute beast and a must if you are serious about SEO. In fact, I use this tool almost every day when I am performing SEO audits for potential clients. There is a section within Screaming Frog where you can export all images that are missing ALT tags. Here is an example of a recent audit that I performed for a potential client. 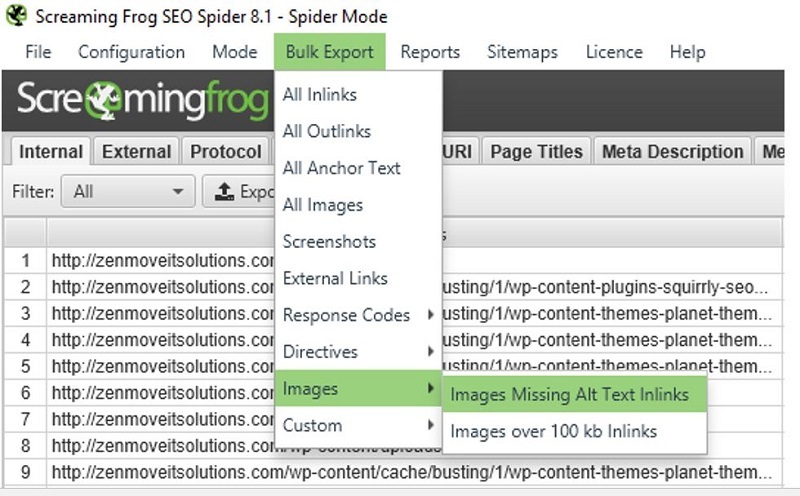 Using Screaming Frog, I was able to quickly find all the images that did not have this tag and send it over to the client. This is an example of the low hanging fruit that you might hear other SEO people tell you during a pitch. If you want to take this a step further, you can run a VLOOKUP on the pages that are missing ALT tags and your most organic traffic pages using a tool like Google Analytics. This can help with setting up the right priorities for you to work on if you are working on an extensive list. What are ALT Tag Best Practices? The picture on your site might have taken a lot of effort to shoot just right. So why should the image be one word that describes it? Isn’t the expression a picture is worth a thousand words? The best practice and strategy for ALT tag optimization is to make the tags descriptive, relevant to the content on the page, and not overstuffed with keywords. This seems complicated so that I will break it down with an example below. Here I am looking for pictures of how to bake a cake. 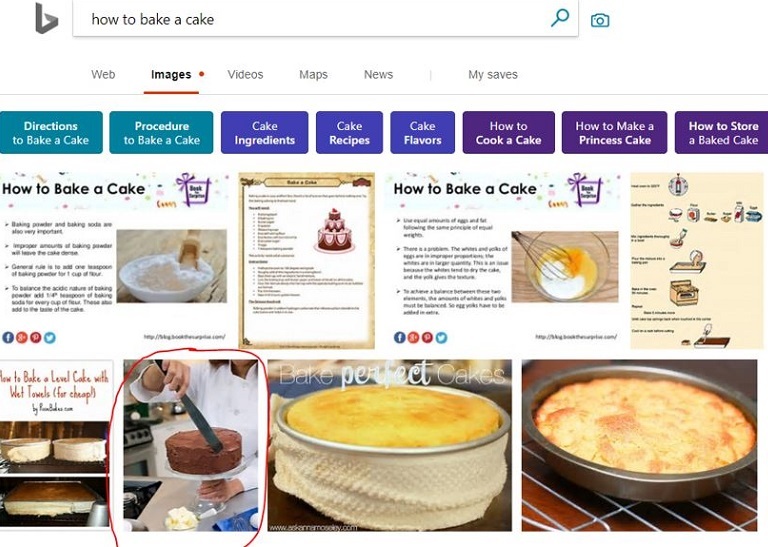 I like the image in the second row because I can see someone baking a cake, so I click on it to learn more about it. Upon clicking on that image, I decide that I want to go to that website because I want to see the steps on how to bake this cake. Being the SEO that I am, I decided to go into the code to see how the page was set up. To no surprise, I can see that the ALT tag is very descriptive and compliments this page perfectly. Here is what they coded in the background on their site. What is impressive about this ALT tag is how much semantic SEO came into their mind regardless if they planned that or not. Moist and Rich homemade chocolate frosted cake is so descriptive that if you told someone who they would have a visual image of that. ALT tags play an important aspect for SEO. Over 20% of overall Google search begins as an image search. With seasonality as a reason, you will see a rise and fall of image searches based on your industry. ALT tags are also readable by Google and Bing, so you need to mark up the images with these tags to help rank in image search. Finally, we want to make the web accessible to everyone. Image optimization is a great way to go about this. Here is a great resource on accessible web standards. As with this practice, you do need to do keyword research to get the best organic reach for your pictures. This is something I offer with my Boston SEO Services.